Hello Mr. Rhododendron! I think this fella is pretty old. Unfortunately, we need to have the area next to the house cemented to prevent water from getting into the crawl space. This cementing could happen any day. So, early spring may not be the best time to transplant this Rhododendron, but, it will die otherwise. We have a partially shady spot to the side of our house. Our neighbor has an ugly fence that could be camouflaged. 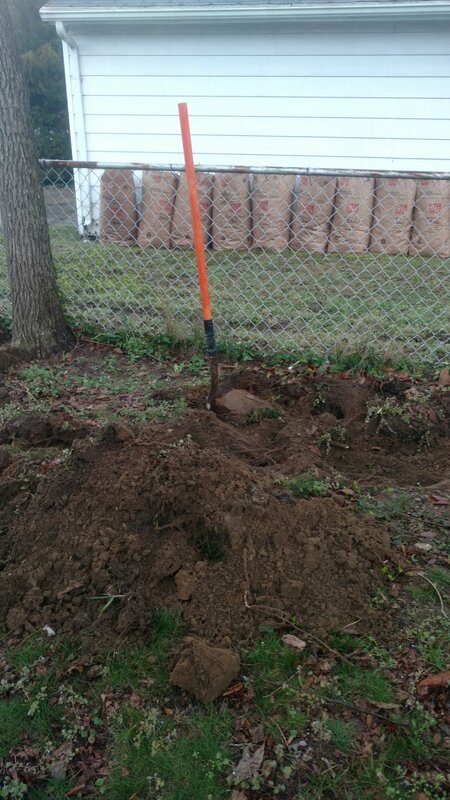 So, I started to dig. 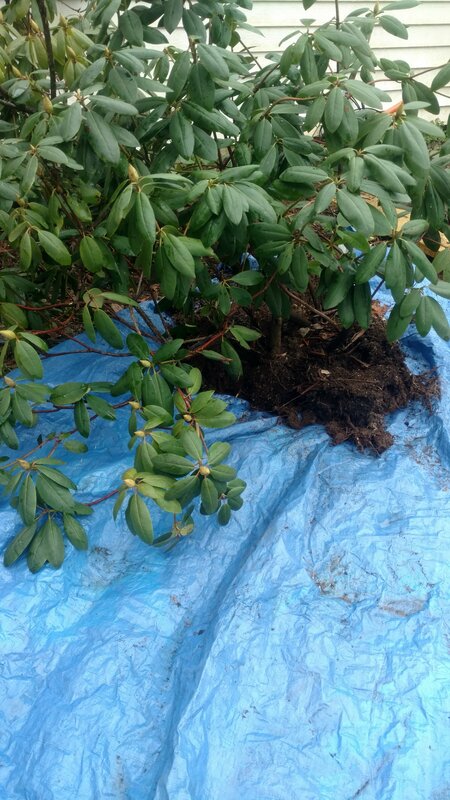 I read that Rhododendrons have shallow roots and that it is better to not dig too deep when transplanting. Then, I started digging about 2 feet away from the main stem. It was quite a doozy! He did not want to leave! But, I got him! Boy… I think one of these weighed close to 70 pounds! And another one. There were 4 bushes in all! Look at all those buds! I hope They bloom! I still need to mulch around the newly planted Rhododendrons. I will try to do that tomorrow. Now…. what do I plant around the Rhododendrons? Would you say Star Magnolia?